Will business experience make him a good governor? That’s what Ducey’s campaign claims. “Serving ice cream isn’t exactly like serving in state government, but what I learned guides me today,” Ducey says in one of the campaign videos on his website. The Arizona gubernatorial candidate also pointed to the expansion of Cold Stone from one store in Tempe to a nationwide franchise under his leadership to make the case that he’d be a good state executive. Ducey’s tenure at Cold Stone Creamery was attacked by his primary opponents, who claimed the then-CEO was responsible for 31 percent of Cold Stone franchisees going out of business. A section of his campaign website is dedicated to his business record, and a video featuring former Stone Cold franchisees blames the individual franchises for their failures. The franchise research group Blue MauMau Inc. also found that 41 percent of Stone Cold franchises defaulted on U.S. Small Business Administration loans between 2001 and 2011, which overlaps with Ducey’s tenure as CEO from 1997 to 2007, according to the Phoenix Business Journal. Ducey had Sarah Palin and U.S. Sens. Ted Cruz, R-Texas, and Mike Lee, R-Utah, in his corner. The three Republicans are influential within the Tea Party movement, and their support was a big part of Ducey’s victory. Republican Arizona Gov. Jan Brewer, who did not run again for re-election, endorsed Mesa Mayor Scott Smith. The controversial bill, which passed in the Arizona Legislature but was vetoed by Brewer in February, would have amended the state’s Religious Freedom Restoration Act to allow business to deny service to customers if they had a religious objection. The bill was seen by opponents as being anti-gay. Ducey said he also would have vetoed the bill if it came across his desk. Ducey’s primary opponents tried to woo women voters by making this an issue in the campaign. The former Cold Stone CEO is a member of the Whisper Rock Country Club and the Phoenix Thunderbirds. Both clubs don’t allow women to be members. 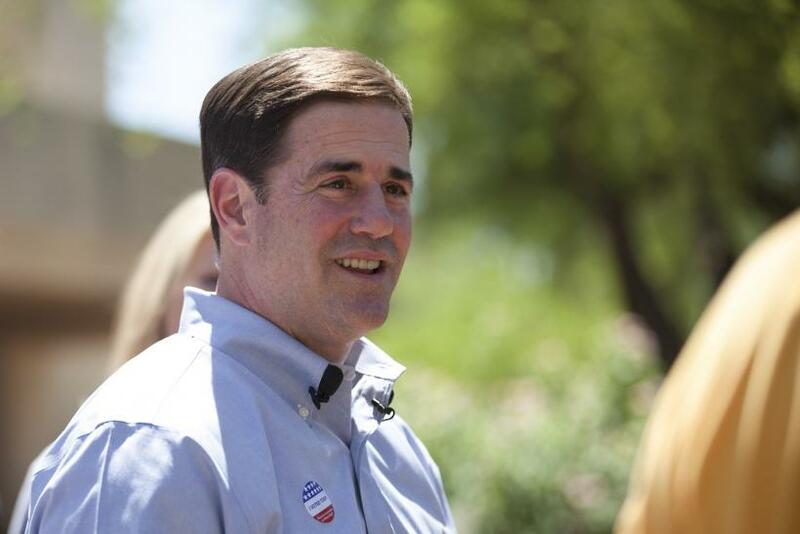 Polls in the week before the primary showed Ducey with the same percentage of support among women and men, according to the Arizona Republic.